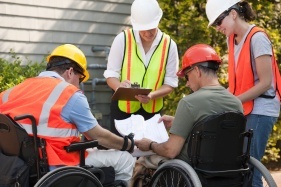 The Service-Disabled Veteran-Owned Business Act, which was signed into law by Governor Andrew M. Cuomo on May 12, 2014, encourages and supports eligible businesses to play a greater role in the economy of the State by increasing participation in New York State's contracting opportunities. 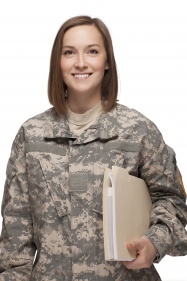 ITS stands ready to help Service-Disabled Veteran-Owned Business (SDVOB) firms. ITS will assist SDVOB firms to identify procurement opportunities and understand state procurement policies and processes. ITS seeks to increase the pool of available SDVOB firms by encouraging uncertified firms that meet the SDVOB eligibility criteria to apply for SDVOB certification. ITS helps firms understand the requirements and the advantages of becoming certified. ITS also help firms meeting the criteria, understand the certification requirements, and connect with those who oversee the application process. ITS also participates in business events to promote awareness and understanding of the state contracting process. In support of the Service-Disabled Veteran Owned Business (SDVOB) Act, ITS tracks agency progress (i.e., SDVOB utilization measured as a percentage of expenditures).